Action Aerials now offers an extended range of home networking services. We have teamed up with Antiference and are now able to supply and fit their Clear Flow Wi-Fi access points and range extenders. Action Aerials can advise or supply home cinema solutions and setup your home WiFi or wired network so all your devices can be connected. CCTV supply and sinatllation including night-vision, motion detection and remote viewing via smart phone. Service parts improving signal strength, repair faulty equipment, network and signal troubleshooting. Action Aerials & Satellite Services is a local company based in the Cardigan & Teifi Valley region providing a specialist aerial and satellites installation service for the local area with over 20 years experience. You don't have to get companies such as Sky to install your aerials or satellite dishes when you purchase viewing packages. 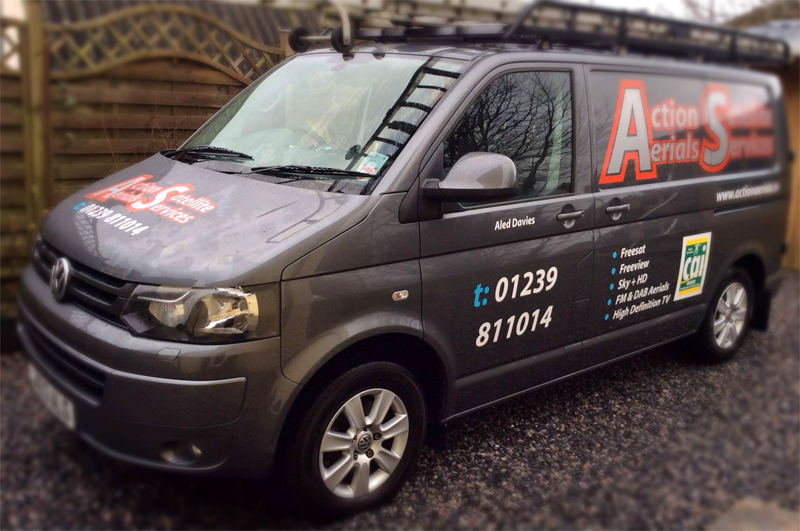 Using a local, suitably qualified technician makes sense, they know the area so you can be confident that you have the best possible service and signal. Often the work undertaken by a local company such as Action Aerials will be of a much higher standard as we have a great reputation amongst the local community which we must uphold.